Pittsburgh Paints 206-1, Tint of Green. Sherwin Williams SW 6190, Filmy Green. 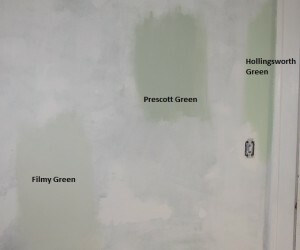 Benjamin Moore HC-140, Prescott Green. Tint of Green was a good match for an inspiration picture I’ve been loving on for awhile now. 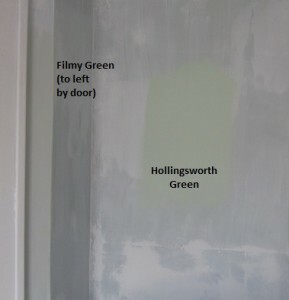 Filmy Green was a much lighter version of the color we already had (and liked). Prescott Green caught my eye on The Decorologist — a color she uses beautifully in her own home. I was expecting to be seduced by the perfect green out of these three finalists. “Pick me,” our paint would whisper alluringly. 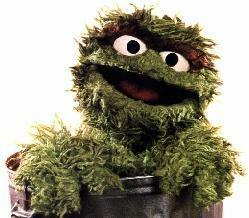 “Your expectations were overstated,” gloated Oscar. 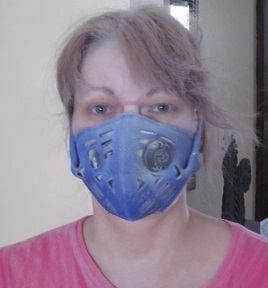 …paint sample FAIL. Instead of being drawn to the most beautiful of three tempting tones, I was confronted with three colors that, while lovely in other settings, just did not look like they would work in our room. Just to complicate matters, I ran out and picked up two more samples: Benjamin Moore HC-141, Hollingsworth Green, and HC-120, Van Alen Green. Those went up as well, and then I let everything get good and dry before peeking again. Prescott Green is probably out — it’s not as clean and pretty in our room as it is at the Decorologist’s place. Tint of Green is a pale green, but it is kind of ELECTRIC(!!!) in artificial light, so it’s probably out. 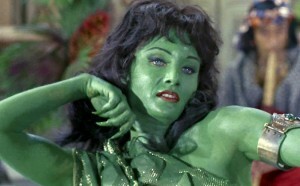 Filmy Green…I like it…it’s a little boring…maybe boring is good? I don’t know. 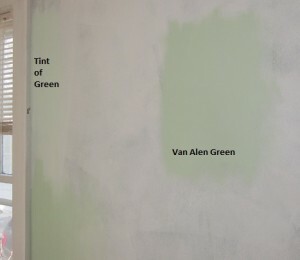 Van Alen Green and Hollingsworth Green — both bear further observation (and maybe bigger swatches). Why stop at five (5!) samples?! Anyone have suggestions? This entry was posted in D'oh!, Decor, Walls & Floors and tagged green paint color, light green paint. Bookmark the permalink.